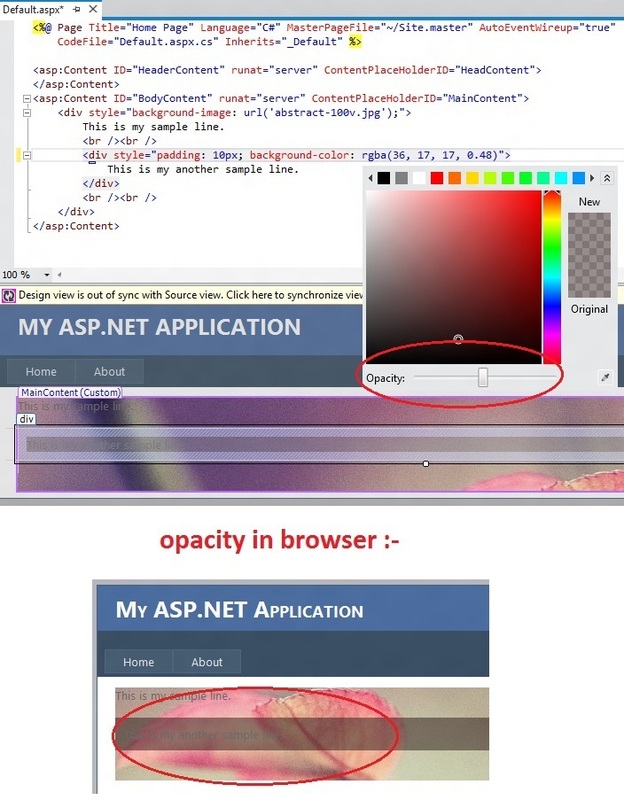 In this post I will explore Popup Color Box and Opacity feature in Visual Studio 2011. Color selection is always been bit difficult for web developers. In VS 11, this brand new feature look cool. 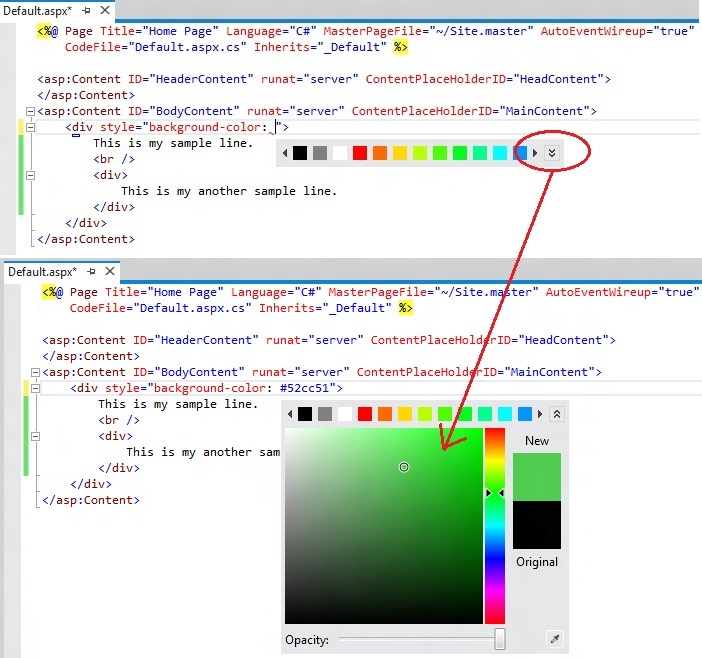 I just typed background-color or color while styling my web page and IDE displayed color selection pop-up. One more cool feature I found in this new IDE, that is 'Opacity' option in color pop-up. I remember the days when I frequently used opacity in Expression Blend and Windows Forms. And now, Microsoft enhanced ASP.NET and added this after long wait. In above image, when I slided opacity option, I got "rgba" (Red, Green, Blue, Opacity) = (36,17,17,0.48). And look at the output in browser, on backgound image you can see a <div> tag that has opaque color, awesome.